Fly fishing is a distinct and ancient angling method, most renowned as a method for catching trout and salmon, but employed today for a wide variety of species including pike, bass, panfish, grayling and carp, as well as marine species, such as redfish, snook, tarpon, bonefish and striped bass. There are many reports of fly anglers taking unintended species such as chub, bream and rudd while fishing for 'main target' species such as trout. There is a growing population of anglers whose aim is to catch as many different species as possible with the fly. Fly fishing can be done in fresh or salt water. Freshwater fishing is often divided into coldwater (trout, salmon, steelhead), coolwater (pike, perch, walleye) and warmwater (bass, chub, catfish) fishing. 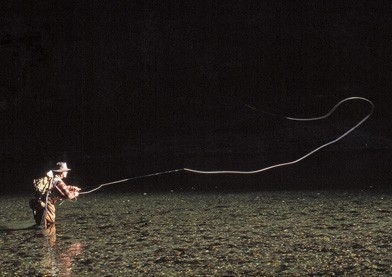 The techniques for freshwater fly fishing also differ in lakes, streams and rivers. all are youtube links enjoy...!!! happy fishing!!! Nice, have seen these before.